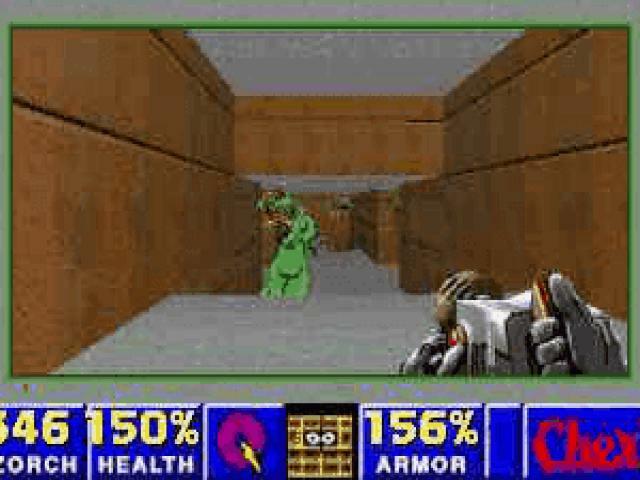 Well it's an action shooter game where the theme is very strange and uncommon. 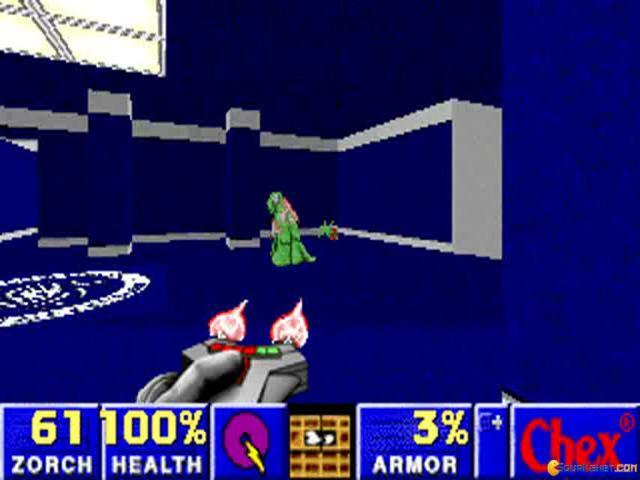 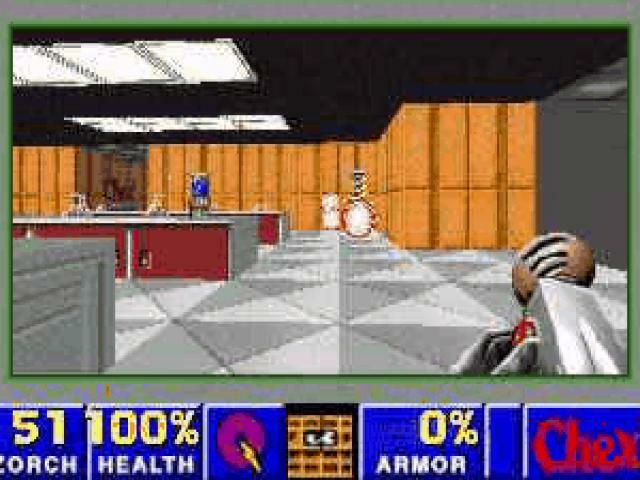 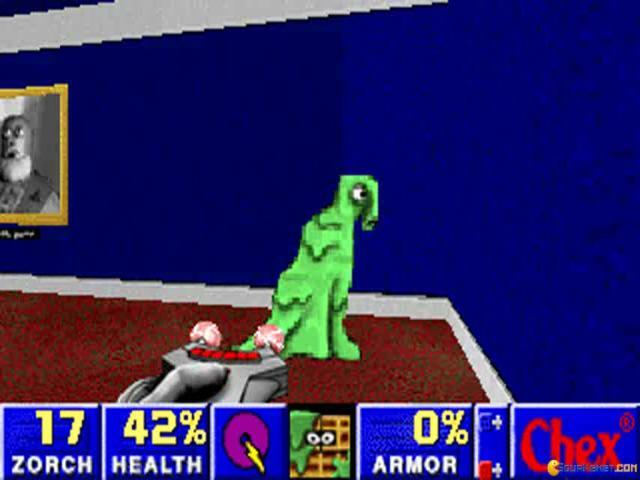 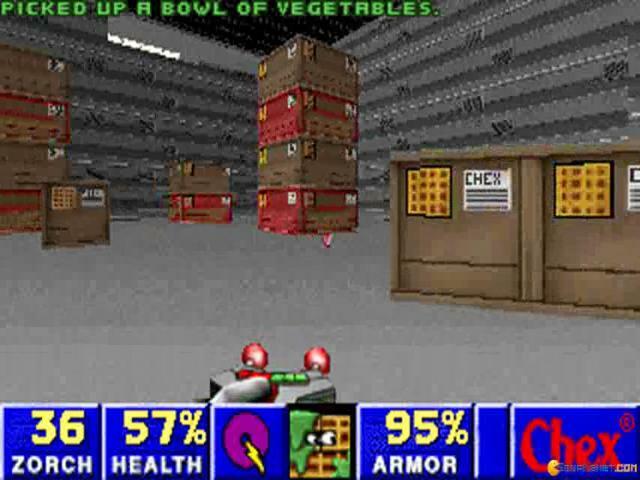 The plot in the game is that you will be playing a giant cereal whose mission is to kill the green creatures known as flemoids. 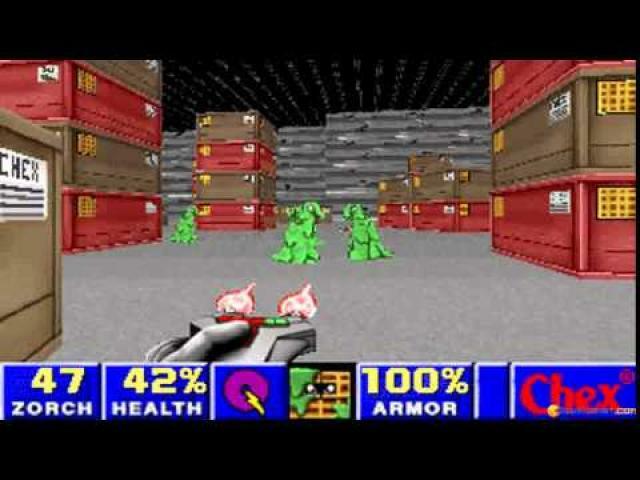 Well it's actually not killing because when you fire at the flemoids, they disappear in a flash and they go to their home dimensions which is the milk dimension from where they came. 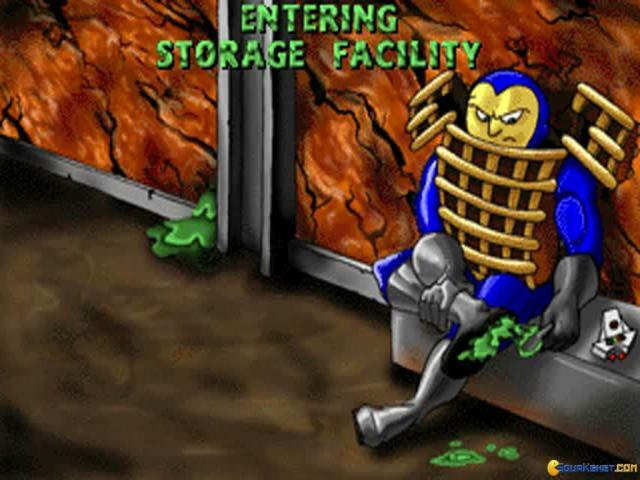 You need to send them back because they came mutated from their home dimension. 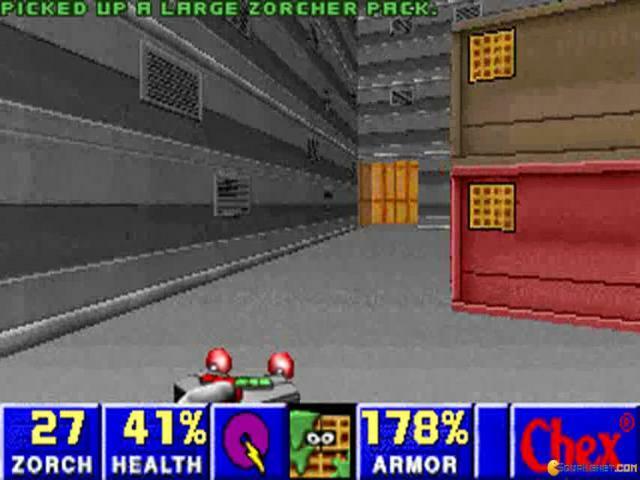 For doing all the action you have three different weapons with some strange names such as Rapid Zorcher, Zorcher, Phasing Zorcher etc. 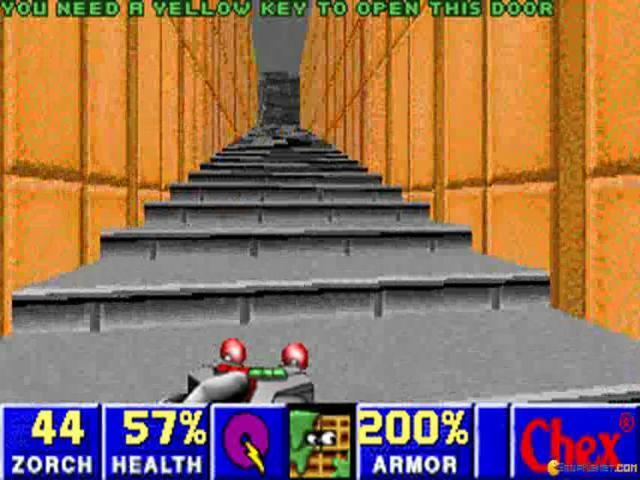 The gameplay is unlike any typical action game but is still entertaining because of the vast spread levels and the strange but interesting theme. 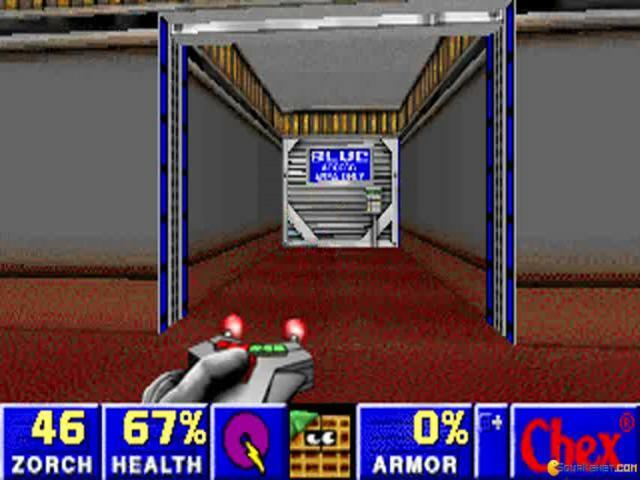 They have added subtle variations in the gameplay at different levels which adds a touch of diversity to the game and maintains the interest for users. 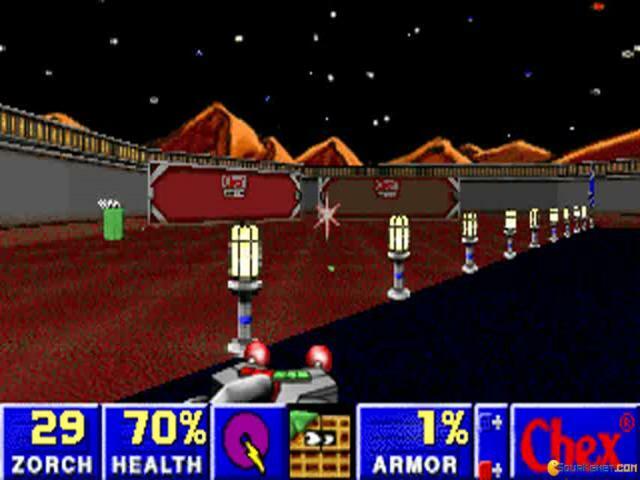 The graphics and the color schemes are well suited to the theme and the UI is good enough to make you easily use all the gaming options. 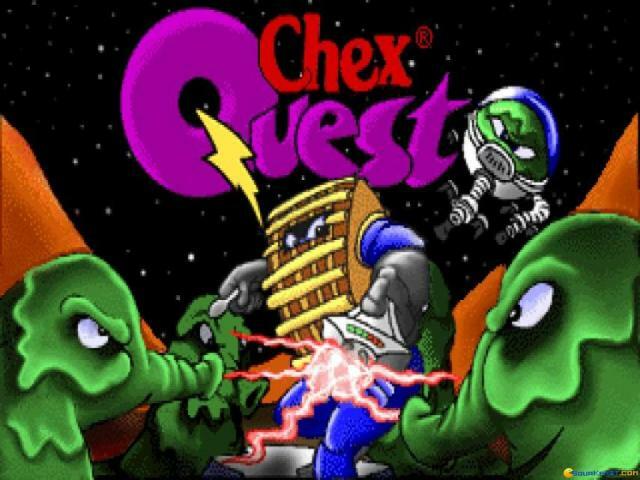 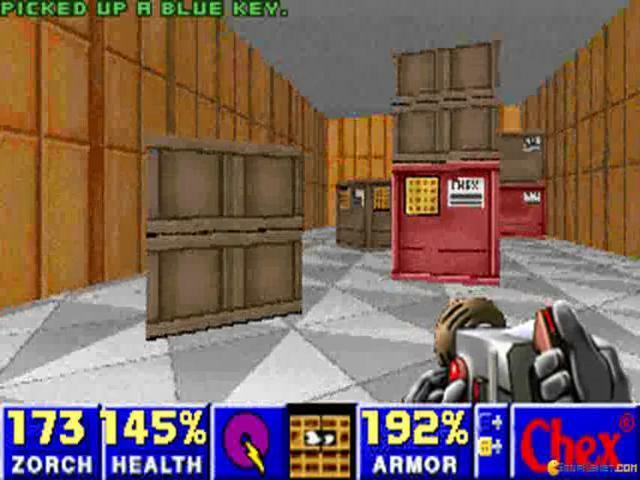 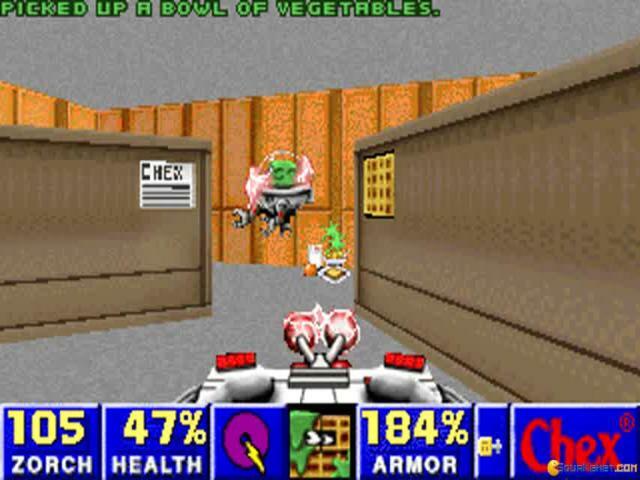 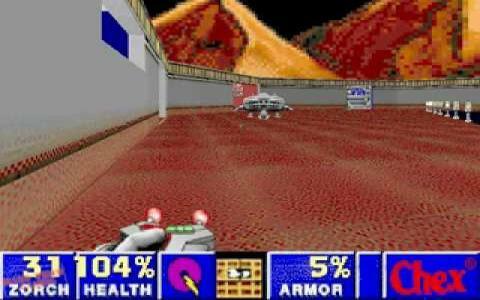 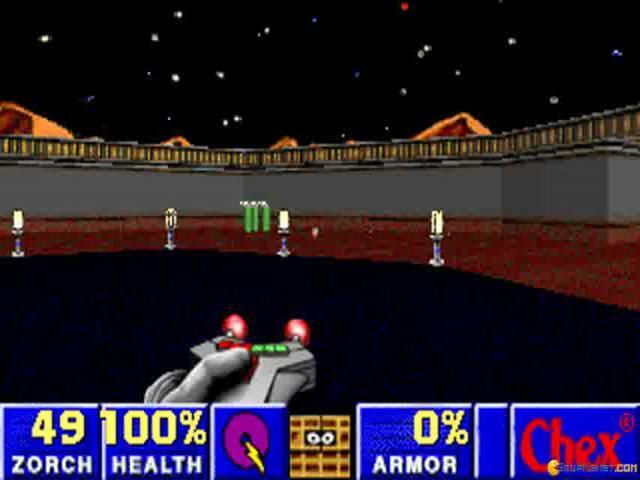 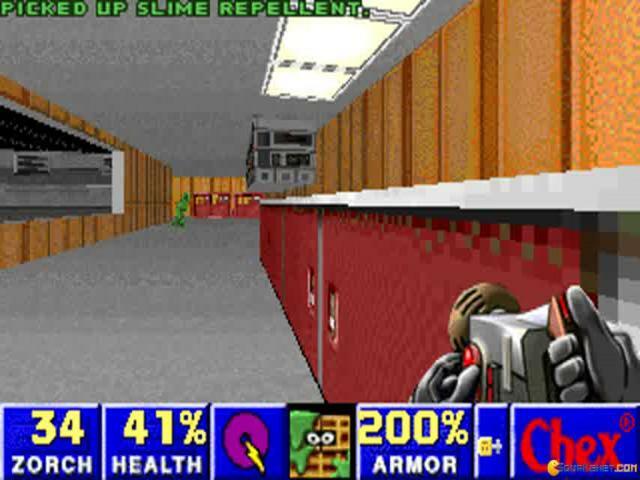 Its sequel Chex Quest 2 carries the theme even further and is an equally exciting game.